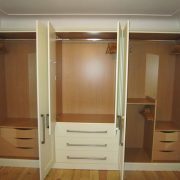 Bespoke Bedrooms is a Cambridgeshire based company specialising in the design, manufacture and installation of custom built fitted wardrobes and fitted bedroom furniture, individually designed and tailored to maximise your bedroom space. 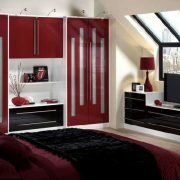 With 25 years experience in the fitted bedroom industry, we are confident in producing the best possible bedrooms for truly remarkable value for money. 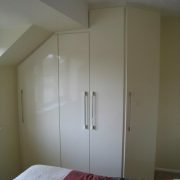 We offer free design and estimates throughout Cambridgeshire, Bedfordshire, Essex, Hertfordshire, London and the south east. For the benefit of our customers, we operate 7 days a week, from 8am to 8pm. 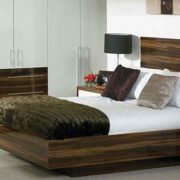 All of our bespoke fitted bedrooms carry a full 10 year guarantee and are installed by our own fitters in just one day. 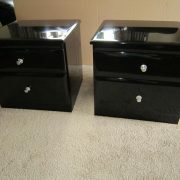 I’d just like to say how thrilled I am with my new Gothic Style wardrobes! hanging space. Also the blanket box gives very useful storage space. 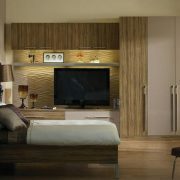 The finish is lovely, that part of the room is transformed. I was amazed that so much was achieved in one day, and all the mess cleared up too. as you did, reducing gradually to twice your price to try to achieve a sale. He was shown the door.